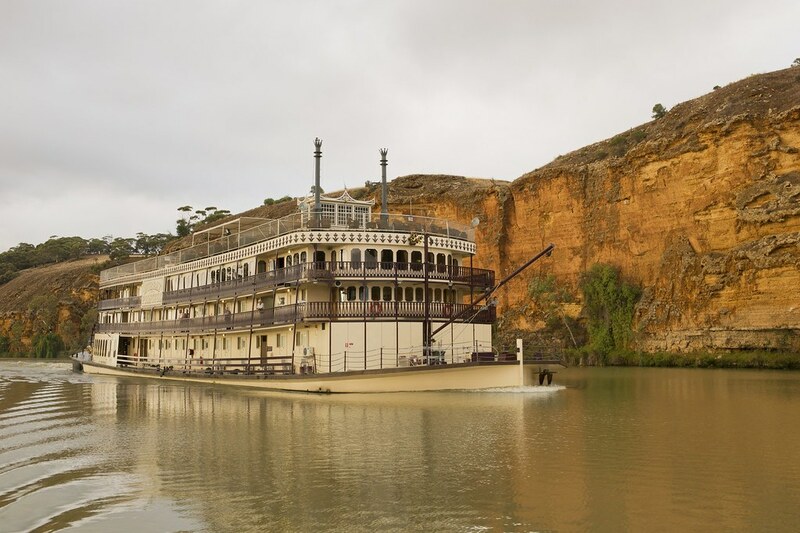 Captain Cook Cruises has announced the 2018 dates for its popular seven-night Loxton cruises on board small ship paddlewheeler the Murray Princess. The Mannum to Loxton cruise will depart Mannum on Friday 23rd November at 4.30pm and disembark at Loxton on Friday 30th November at 9am. The Loxton to Mannum cruise will depart Loxton on Friday 30th November at 4.30pm and disembark at Mannum on Friday 7th December at 9am. "We are very excited to be operating this incredible cruise again in 2018. Both cruises are very popular with guests who want to explore Australia's outback history between Loxton and Mannum. It is also a part of Australia not many people have seen or experienced." Explains Donna Gauci, General Manager, SeaLink South Australia. Days are filled with exciting onshore excursions including a visit to Ngaut Ngaut Aboriginal Reserve - one of Australia's most significant archaeological sites, experience a typical Australian woolshed show and Native Wildlife Shelter at Sunnydale and at Morgan and Waikerie explore their historic townships and museums. At Cobdogla visit the Cobdogla Irrigation & Steam Museum - home to the world's only working Humphrey Pump and at Loxton learn about the early settlers and their families via displays in over 45 recreated buildings and exhibits at 'The Village', along the banks of the mighty Murray River. There's a food and wine trail that enables tastings at Caudo Vineyard and an Aussie-style campfire barbecue dinner to be enjoyed on the river bank. Onboard learn more about the Murray and Riverland regions and sample some of the local produce and wines with a structured tasting event held in the Sturt Dining Room. Along with this once in a lifetime journey, there's an abundance of nocturnal wildlife including kangaroos, hairy-nosed wombats, tortoises and many other species that may be spotted on the riverbanks. Early booking saver fares for the seven-night Loxton cruises are available from A$2057 per person twin share. Fares include accommodation, all meals, guided nature walks, eco-excursions, onboard presentations, onboard WiFi, the Captain's Dinner and Cocktail Party, live entertainment, use of ship's facilities including sun deck, bar, two lounges, restaurant, mini gymnasium and complimentary scenic coach transfers pre-cruise from Adelaide to Loxton and post-cruise Mannum to Adelaide. Private car transfers for up to four people are also available from and to Adelaide CBD to Mannum and return to Adelaide Airport for A$143 per person each way, based on two people travelling.